Before heading to my Baylor tour, of course my parents and I had to pay a visit to Magnolia Market. If you don’t know what Magnolia Market is, you’ve obviously been living under a rock these past couple years. It’s a highly popular shopping destination created by Chip and Joanna Gaines, the hosts of Fixer Upper. Magnolia is such a cute little complex, with a grass lawn with games, multiple food trucks, a garden, and of course lots and lots of shopping. My parents and I walked around the pavilion and just enjoyed the bright and sunny day. 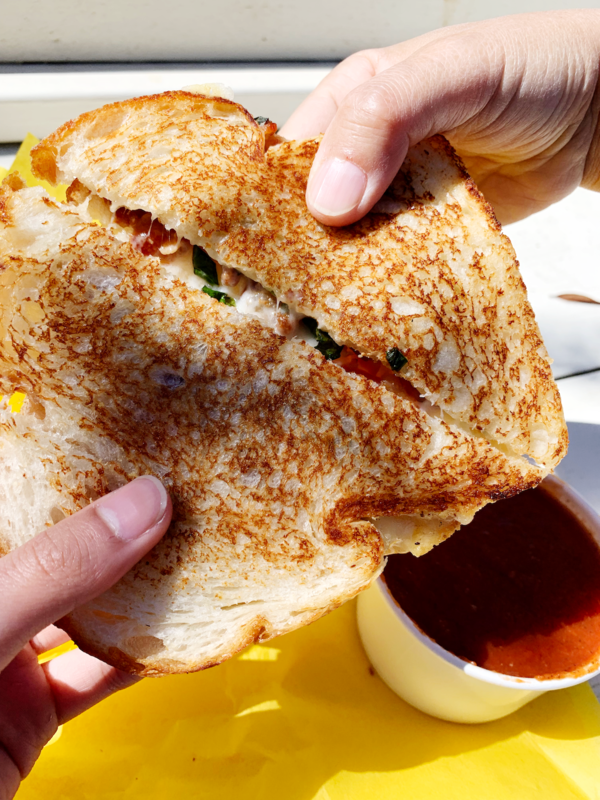 My mom and I shared a grilled cheese called “The Boss” from a food truck called Cheddar Box, which I thought made some truly exceptional sandwiches. Aside from the sorta ridiculous price (I mean, $8 for a “gourmet sandwich”?? ), the gouda and bacon was a really tasty combo. We also ordered their tomato soup, which paired perfectly with the sandwich. 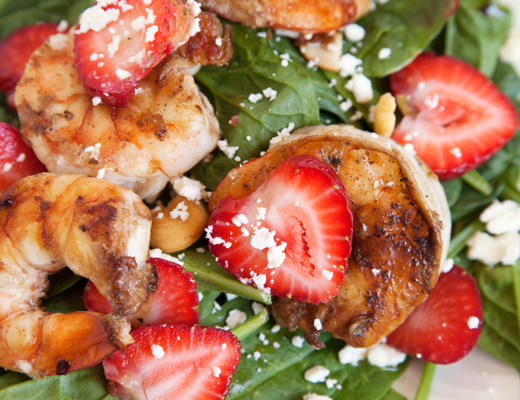 If grilled cheese isn’t your thing, there are lots of other really great food trucks too. I saw ones that were selling pizza, hot dogs, and BBQ; there was even an Alabama sweet tea truck! 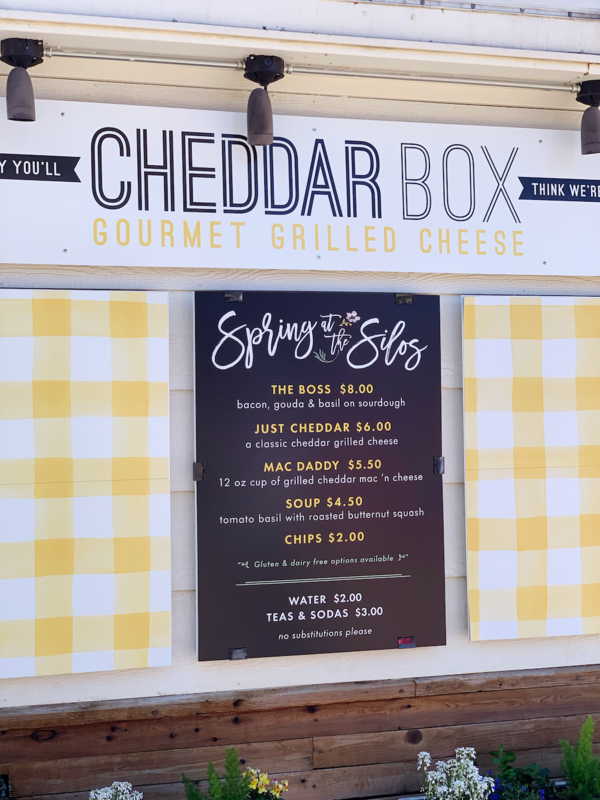 However, I thought Cheddar Box was pretty dang good and I’m definitely going back for more the next I’m visiting Magnolia! Magnolia Table wasn’t open the last time we visited Waco, so Joanna’s new restaurant was definitely at the top of my bucket list for the trip. Now, I’m going to warn you to not trust Google when it says “usually no wait time” for this place. When we arrived at the restaurant around 8 or 9 AM, there were at least a hundred people gathered around the front. All of them were waiting to get a table, or even just a spot on the waiting list! We waited THREE HOURS for a table. Three hours! That’s crazy – it’s probably the longest I’ve ever waited for a restaurant! 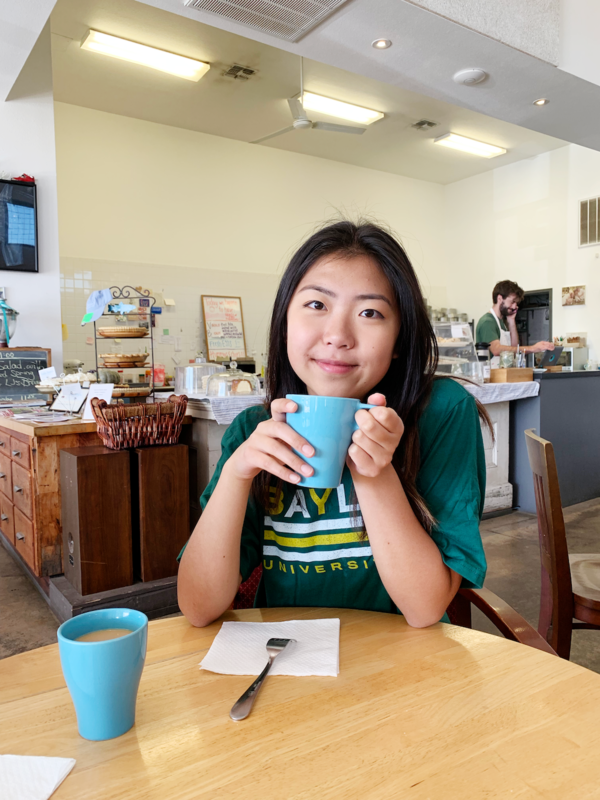 Luckily, we were able to spend those hours getting breakfast, visiting the Waco suspension bridge, and exploring Baylor campus. It was almost 1 in the afternoon when we finally got our table, and I was so eager to finally sit down, relax, and eat some good food. The interior is absolutely gorgeous, with clean white walls, lots of plants, and wooden tables and chairs. I’ve adored Joanna’s style for so many years, and Magnolia Table is definitely one of the prettiest places I’ve ever dined at. 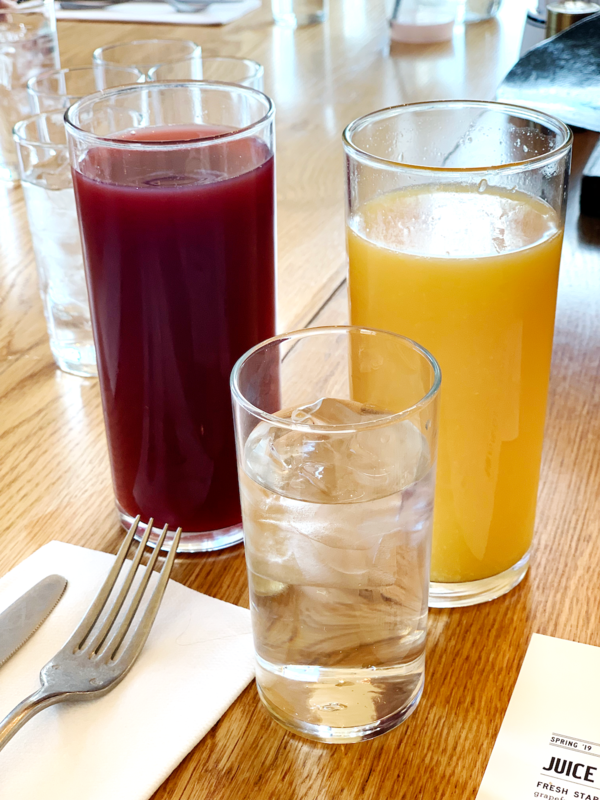 I ordered the fresh start juice (the orange one), which tasted kind of like a glorified OJ. You must order Jo’s Buttermilk Biscuits with homemade strawberry butter to share. Let me tell you, those are some of the most delicious biscuits I’ve ever had! They’ve got just the right amount of butteriness/flakiness and the perfect texture, and you feel like you’re in biscuit heaven when you add the fruity butter and it gets all gooey and warm and ohmygosh this is the worst sentence ever but I’m salivating just thinking about them! I ordered the pancake breakfast for myself, which comes with pancakes the size of my face. 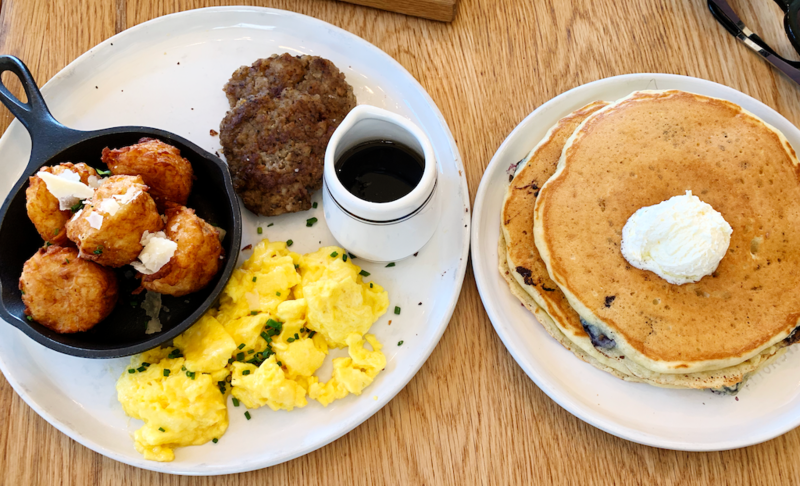 It also includes tater tots, eggs, and sausage – the whole thing was enough to feed a family! I didn’t think it would get any better than the biscuits, but I was definitely wrong! 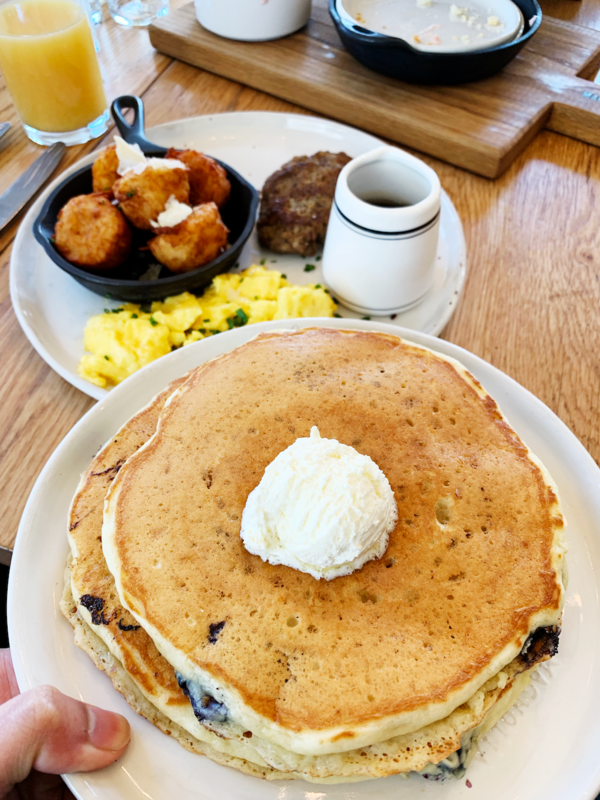 The final verdict is: the entire dining experience is most definitely worth the long wait, especially since you’re able to go exploring the rest of the city while you wait. 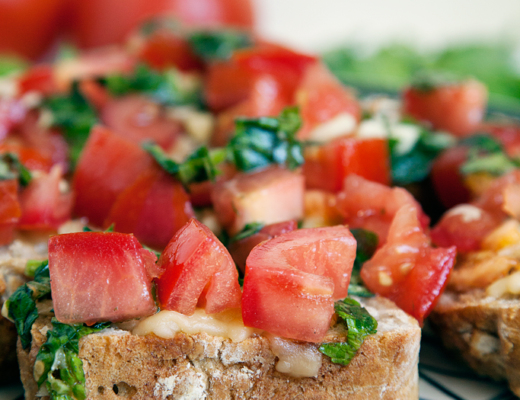 The food isn’t anything fancy, but has such a classic, home-cooked feel to it, that it’s impossible not to enjoy. If you’re in the Waco area, make sure to swing by and experience it for yourself! 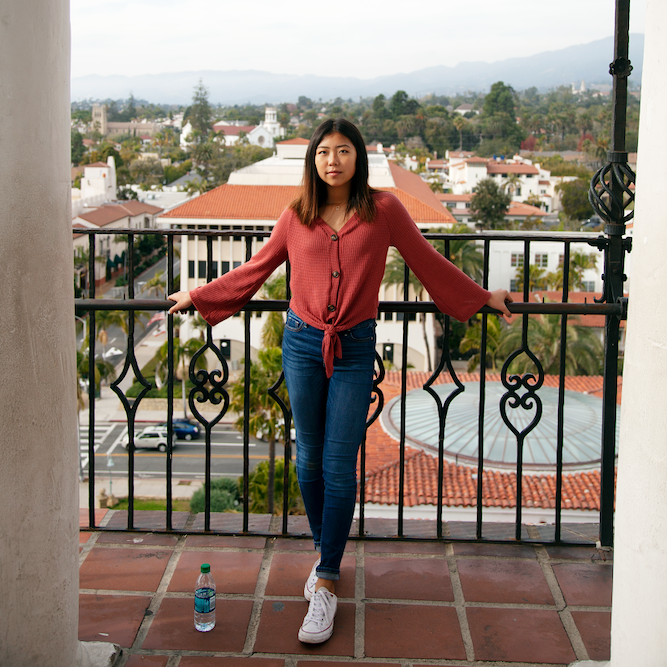 Don’t be fooled – even thoughLula Jane’s is a cute little pastry shop, it has a whooooole lot to offer. I was literally begging my parents to let me all of the prettiest pies, cakes, and other baked goods on display! We ended up just settling on their baked oatmeal. I wasn’t expecting much, but I ended up really enjoying it! And that’s saying a lot, because all oatmeal kind of tastes the same to me. 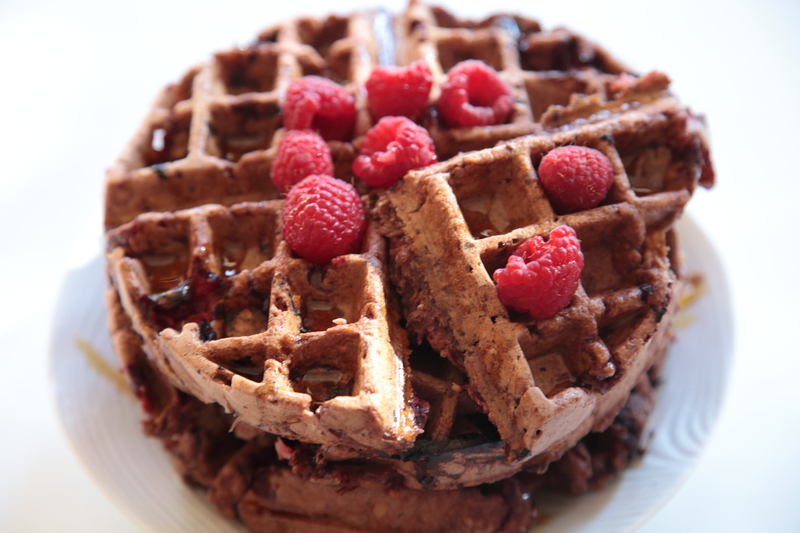 It’s filled with fresh blueberries, topped with some brown sugar, and served in a bowl of warm milk. 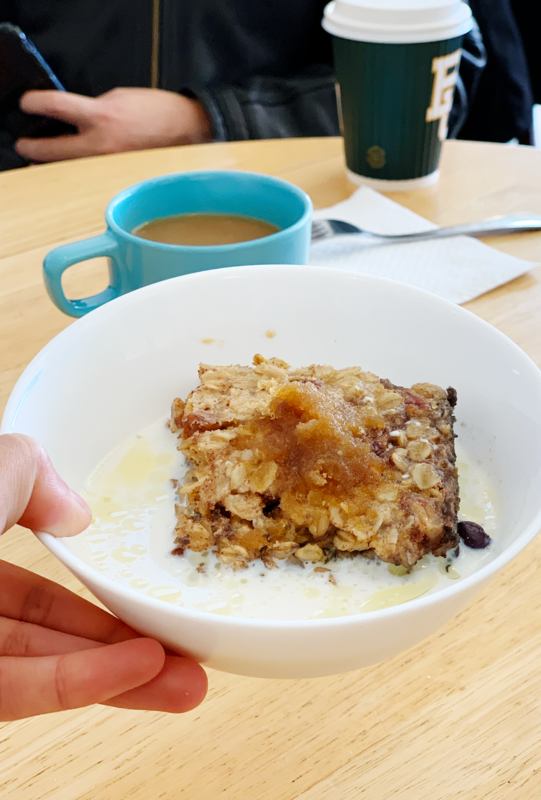 We also enjoyed our oatmeal with a mug of their Ethiopian coffee. It was some pretty good coffee, but nothing too fancy. 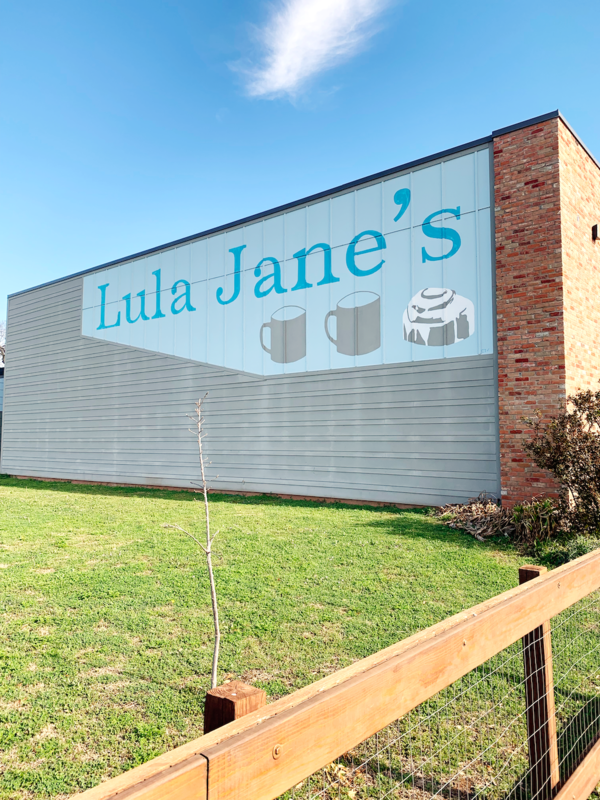 If you’re looking for a simple, quick place to get breakfast in Waco, I’d highly recommend Lula Jane’s. If you try any of their pies or cakes, let me know how it goes. I’m dying to get my hands on the peanut butter crunch pie! My parents and I were starving after touring Baylor, and we were ready to have dinner as soon as possible. We ordered a LOT of food, and George’s definitely satisfied all of our cravings. 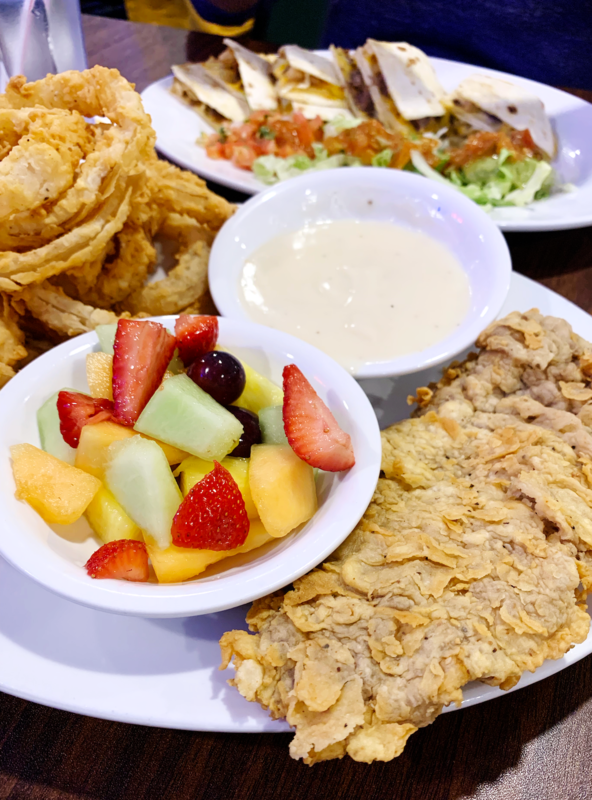 They’re known for their famous chicken-fried steak, so we got one to share, along with a giant heap of onion rings and fresh fruit. Man, those were some good onion rings! My mom and I both marveled at how wonderfully crispy yet completely grease-free they were. 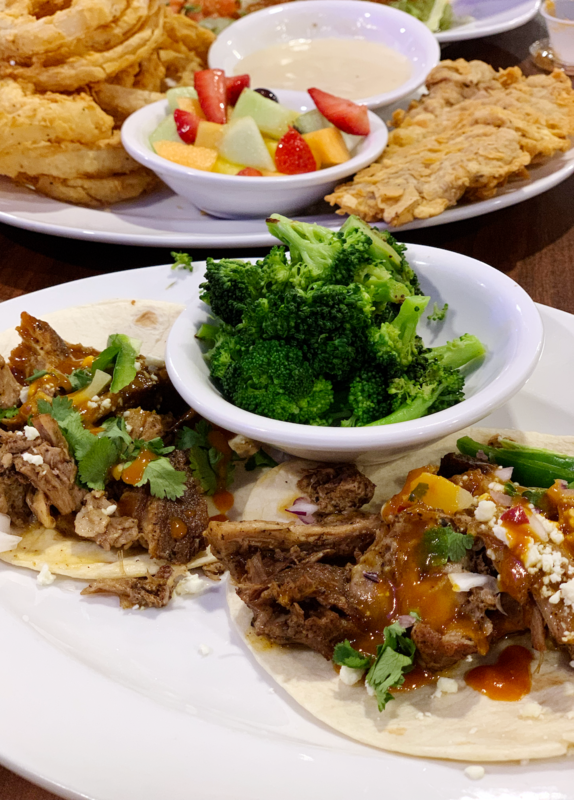 As an entree, I ordered their delicious, flavor-packed pulled pork tacos. I actually ended up only eating the meat and not eating the tortillas. I was completely stuffed from the onion rings and chicken fried steak! 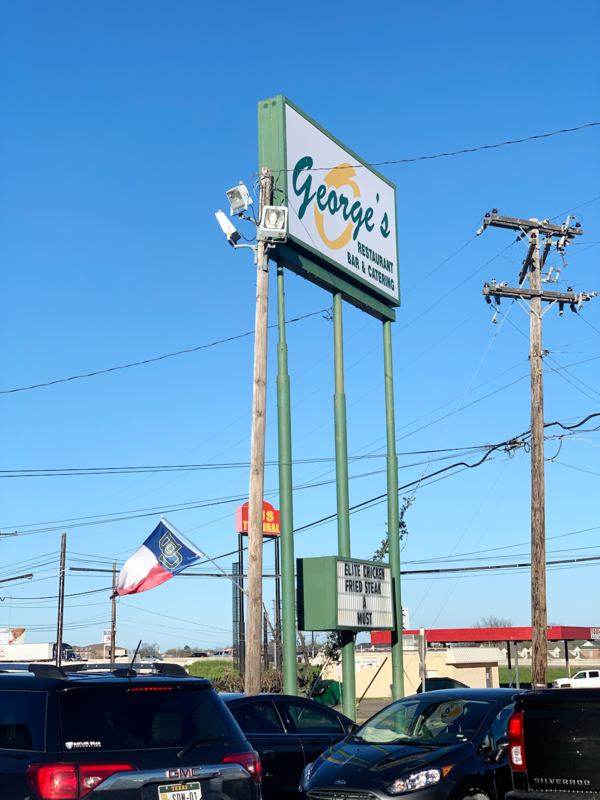 Nonetheless, everything at George’s was so good so I’m not even going to complain. 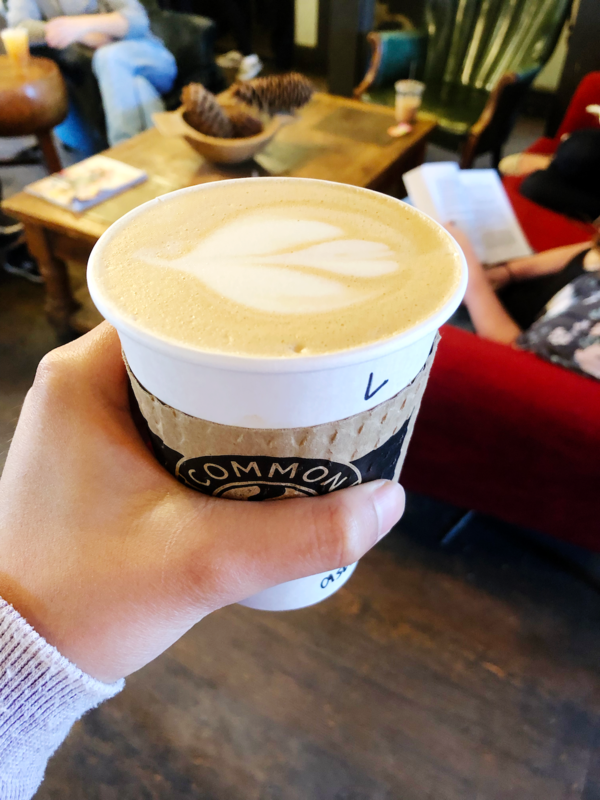 Common Grounds is a popular coffeeshop located right on the Baylor campus. It’s a great place to caffeinate before an early morning class, so I’m sure it’s pretty popular among the Baylor students! I was going to order their signature Cowboy drink, and I really wish I did. 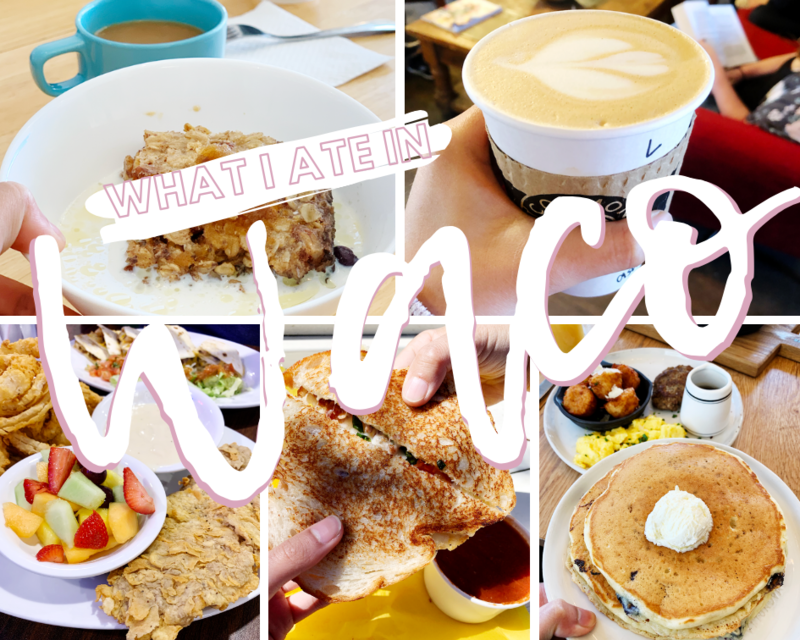 I always order the same thing every time I go to any coffeeshop – a plain latte. So, considering I’ve had a lot of lattes from a variety of different places, I’m pretty good at identifying some truly good lattes. I thought that this latte wasn’t really worthy of any extremely high praise, but it was definitely a good drink that was enough to energize myself for the day. My mom got a chai tea latte and my dad got the Arnold Palmer (it’s non-alcoholic); both were good drinks, according to my parents. 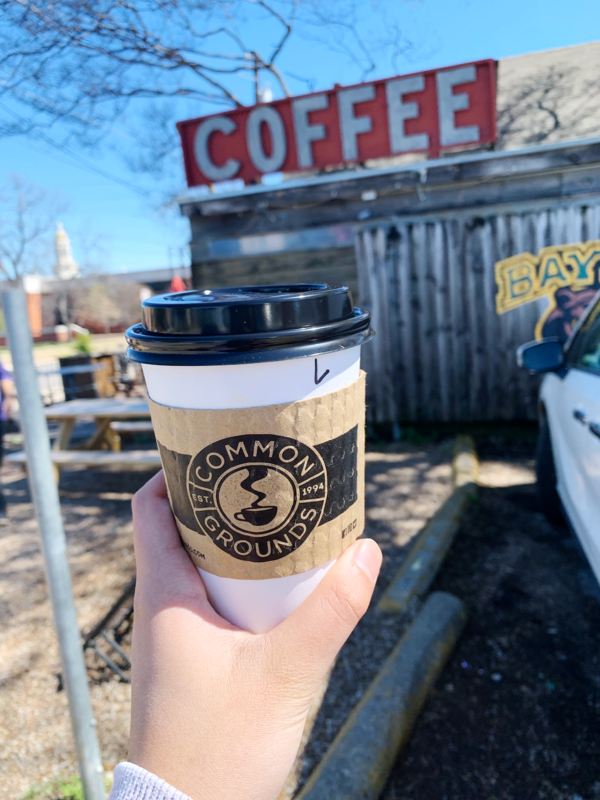 If you’re visiting Common Grounds, be sure to give those a try! 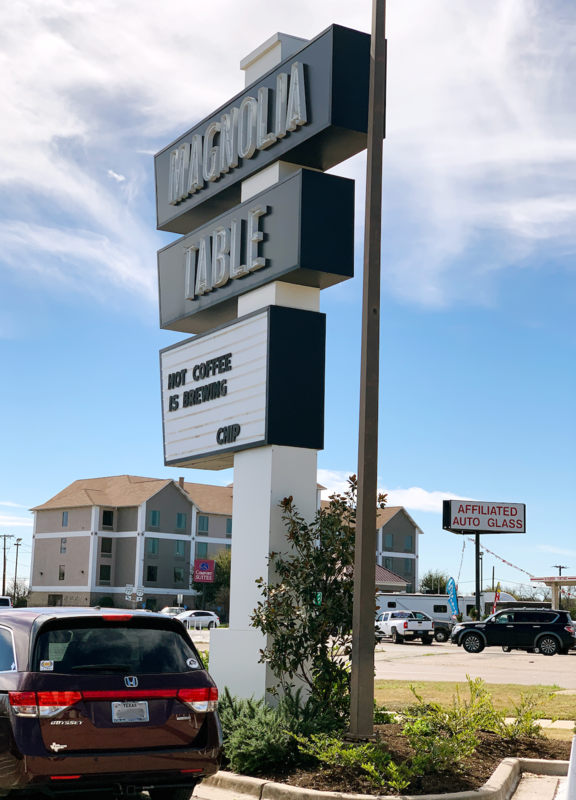 I had a couple other restaurants on my checklist that we didn’t get to try, including Clay Pot, Jake’s Texas Tea House, and Heritage Creamery. I’m sure you’d be able to find a lot more places in Waco in addition to the ones I’ve listed today! If you have any questions at all, please let me know in the comments below.